Sundays at Fan Days are usually slower and more leisurely than Saturdays. I didn't get as many pictures but there weren't as many people in costume to take pictures of. I spent most of the day wandering around with my pal Jeremy. I was once again Green Arrow. He was dressed as Buddy Christ. 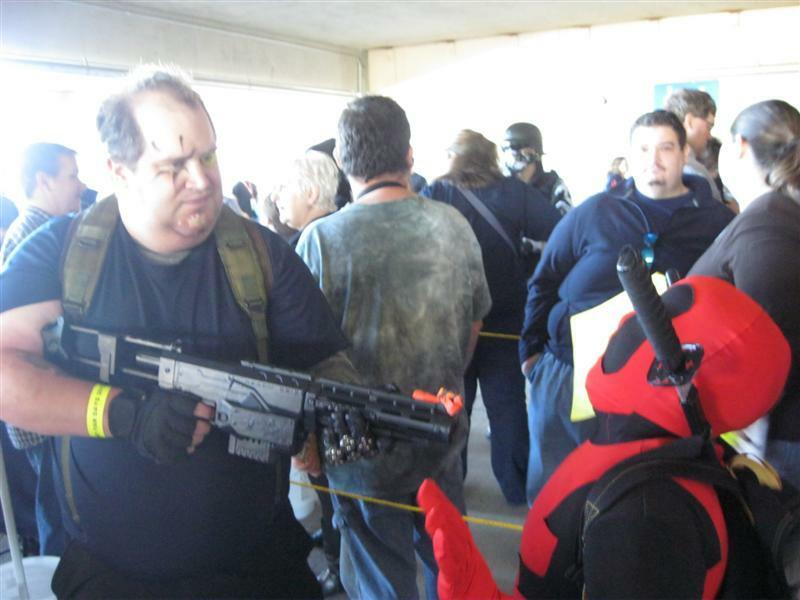 I spent my time in the line waiting with my friend Daniel and his son, here portraying Cable and Deadpool. 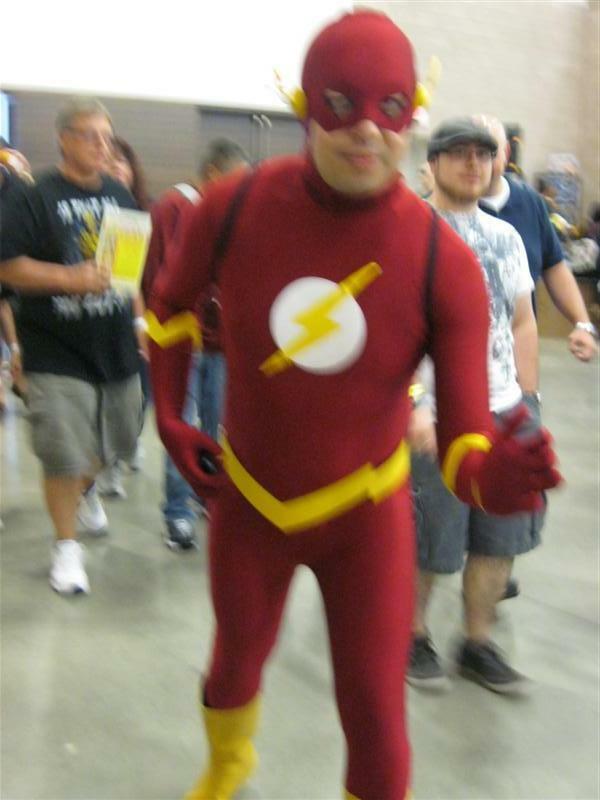 This photo is a bit blurry but considering I was taking a picture of The Flash, it's amazing I got him at all! 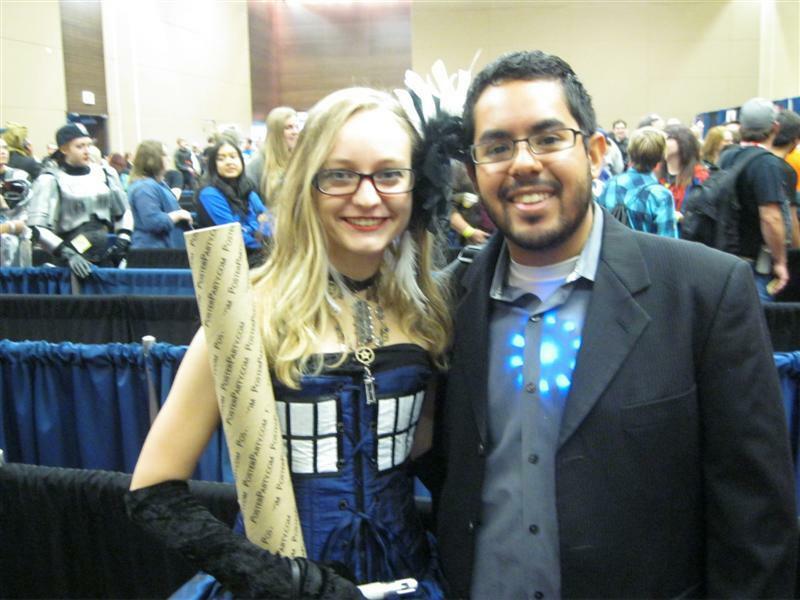 Tony Stark with a TARDIS. What a frightening thought! 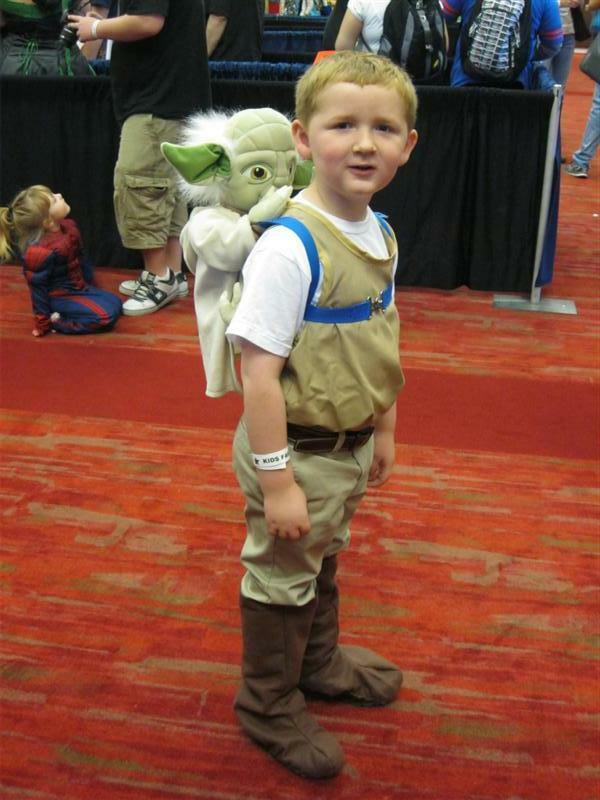 A little Luke Skywalker, giving Yoda a ride. SPOOOOOOOOOOOOOON! 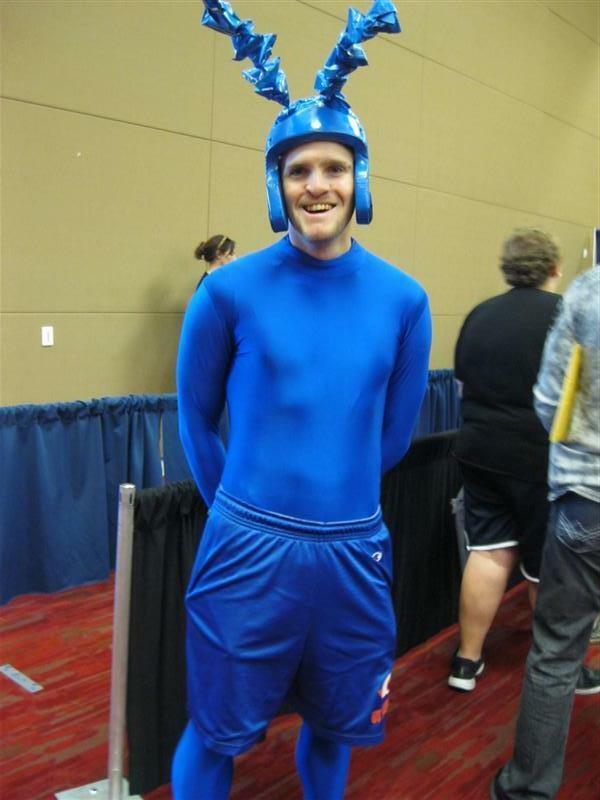 It is The Tick! 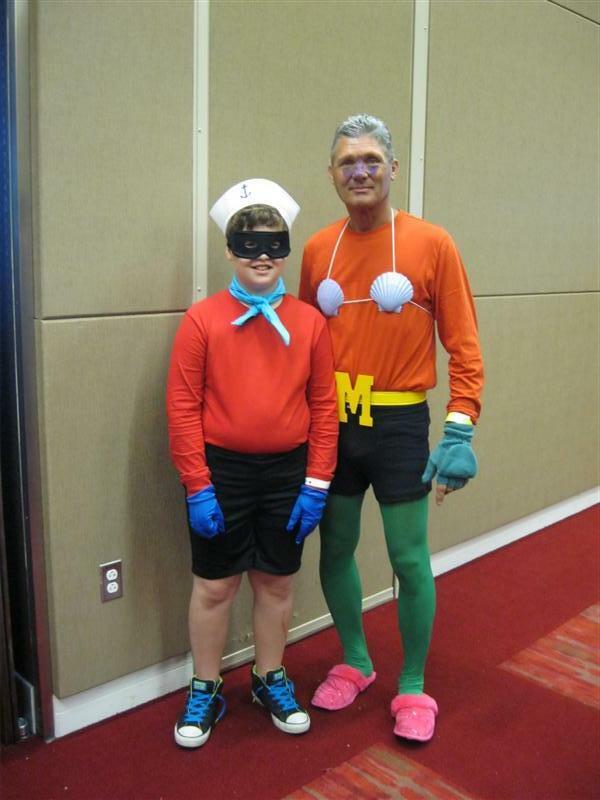 Barnacle Boy and Mermaid Man from SpongeBob SquarePants. Yes, I'm as ashamed as you are for getting the reference. 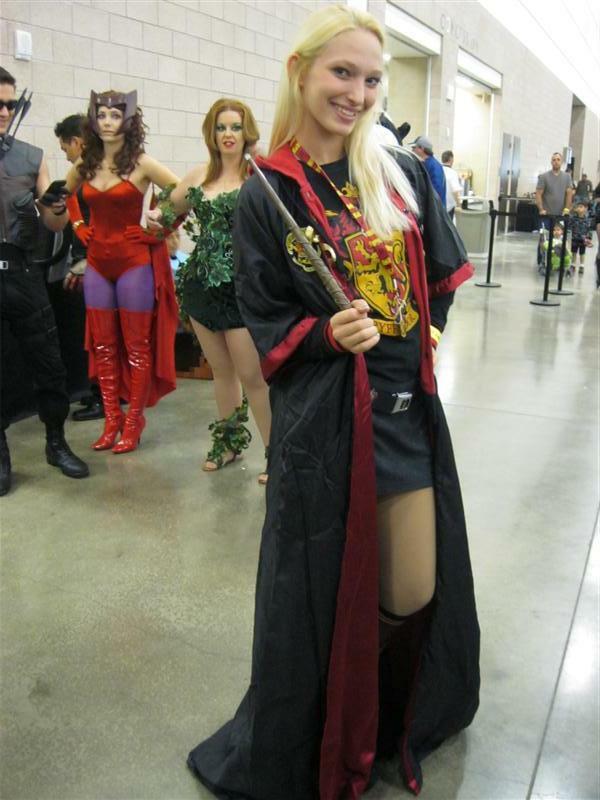 I chased after this Gryffindor girl for a minute, thinking she was my friend Anna. It was only after I caught up with her that I realized the goof and remembered that Luna (who Anna was dressed as) was a Ravenclaw. 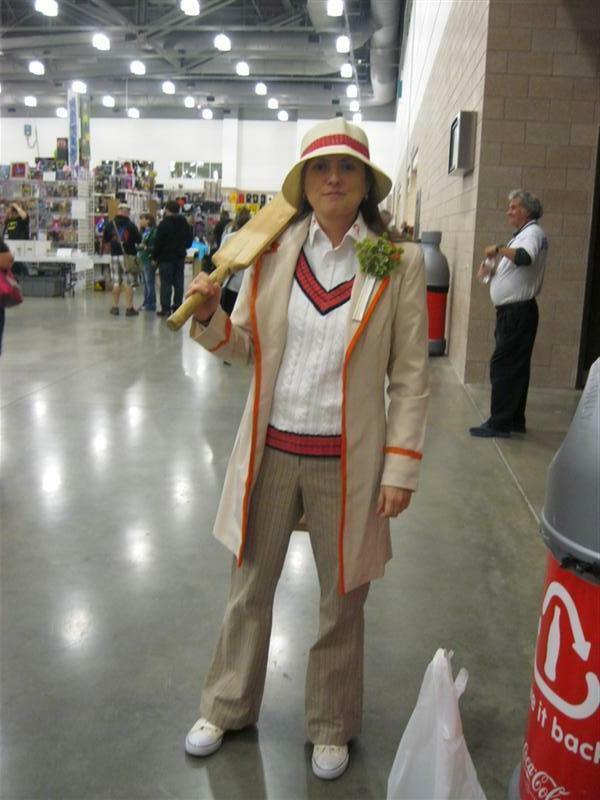 Still a good costume and well worth the running for. I think that's the same Scarlet Witch from yesterday. I think that's the same Hawkeye from yesterday, too. 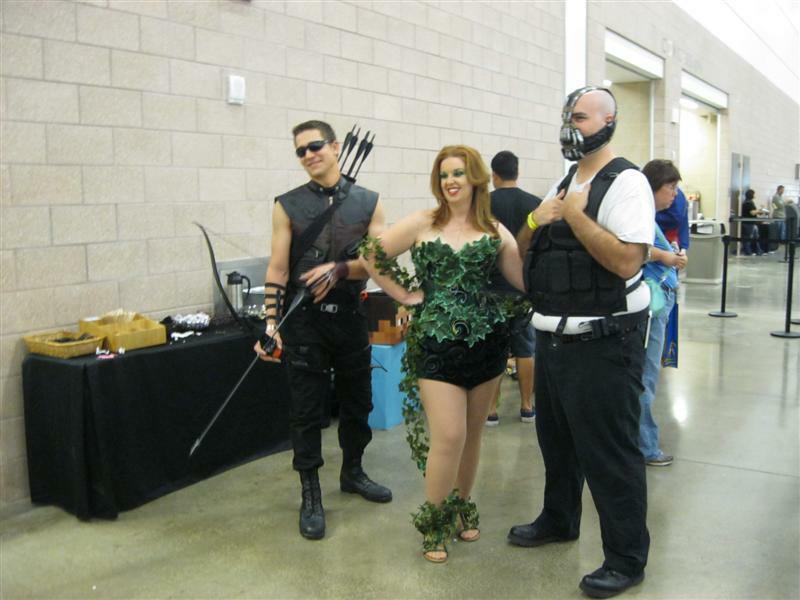 That's definitely a new Poison Ivy and Bane though and much better than in Batman and Robin. 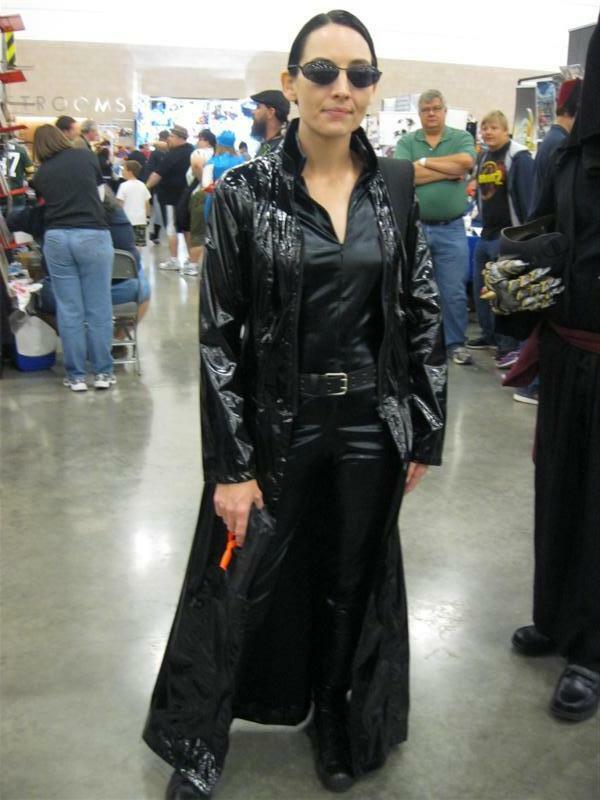 Once again I failed to recognize CAJ Cosplay. She's a chameleon, I swear! In fairness, I've only seen a few episodes of Angel, so I didn't recognize her as Illyria anyway. 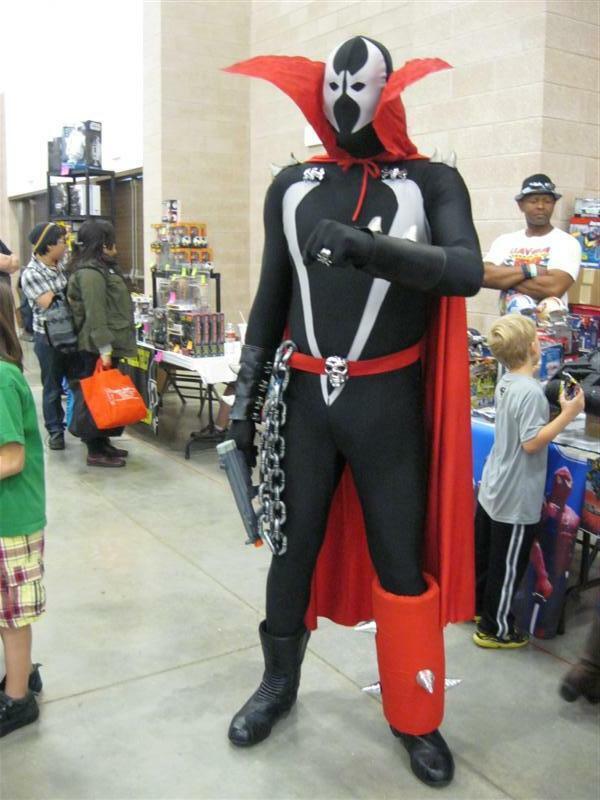 Spawn was a lot nicer than you'd think about having his picture taken.